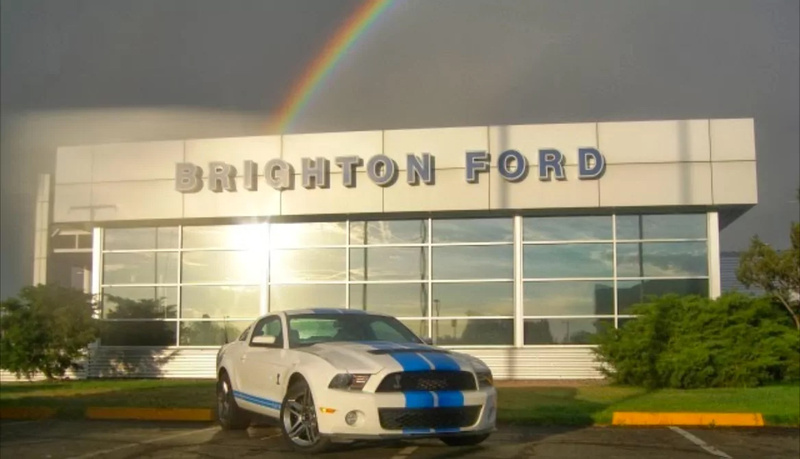 From the time you visit us online to when you walk into our showroom, Brighton Ford is committed to our customers and creating a positive shopping experience. We know that buying a new or used car, truck, or SUV is a big decision, and we value your trust in us. We pride ourselves on treating all of our drivers with courtesy, outstanding customer service, respect, and loyalty. We offer an extensive line of new and used Ford vehicles, because we believe customers should have plenty of choices. Whether you're looking for something exciting to drive or a practical family vehicle, we have the inventory and prices that fit your needs. At the Brighton Ford Service Center , our Ford certified technicians are trained to work on your vehicles. Our staff of service experts offer you outstanding service on your new and used Ford vehicles, helping you with everything from maintenance to vehicle upgrades. We proudly serve drivers from the greater Denver area, including Broomfield, Longmont, Thornton, Aurora, and Brighton. Make an appointment--we'll show you the Brighton Ford difference. Buying a vehicle is an enormous decision and one of the biggest investments you'll make. You want to make sure that you are making the right decision! Our research section gives you an overview of each of our vehicles, answering frequently asked questions about each, and helps you see how our Ford vehicles stack up against the competition. At Brighton Ford, the customer comes first. Call us at (303) 800-3235 or stop in today!